Transfers to Les Arcs are available from 3 different airports with Ben’s Bus. Our network of shared transfers include buses from Geneva Airport to Les Arcs. From Grenoble Airport and Lyon Airport, our shuttles go as far as Bourg St Maurice, the transport hub for Les Arcs. Visit our Grenoble Airport to Bourg or our Lyon Airport to Bourg pages to see how to get from Bourg to Les Arcs. We run Les Arcs airport transfers on week-ends during the 2018 / 2019 ski season. Our shared transfers operate from 15th December 2018 – 20th April 2019, depending on which airport you use. We operate many shuttle buses each day and we generally transport passengers in large coaches, which means cheaper fares and less environmental impact. With our amazing discounts for groups and Children, our prices start from just £73pp Return. The closest airport to Les Arcs is Chambery Airport and it enjoys the shortest transfer time. However, there is a much greater choice of airlines and flights if you fly into Geneva Airport, Lyon Airport or Grenoble Airport. The transfer time depends on the traffic and weather. We allow extra time for the journey when we know travelling conditions may be bad, such as during the French school holidays. The transfer time to Les Arcs is quite long, compared to some other resorts since it’s at the end of the Tarentaise valley road, the N90. The times below are all for Arcs 2000, the furthest of the Les Arcs resorts. Geneva Airport (GVA) is 165 km from Les Arcs. The transfer takes about 3 hours 45 mins. A Return costs from £73pp. Chambery airport (CMF) is 135 km from Les Arcs. The transfer takes about 2 hrs 30 mins. Bourg St Maurice Coach Station is 25 km from Les Arcs. The transfer time is about 40 minutes by road. If you are arriving from Grenoble or Lyon Airports or by eurostar, we’d recommend the funicular for onward travel from Bourg St Maurice. All our airports shuttles from Geneva Airport make stops at Les Arcs 2000, Les Arcs 1950, Les Arcs 1600 & Les Arcs 1800. Visit our Geneva Airport to Les Arcs page to see the exact locations of these bus stops. From all of our stops, you can take a free in-resort shuttle bus to most accommodations in the Les Arcs resorts. From Grenoble and Lyon Airports, our buses stop at the Bourg St Maurice bus station. Visit our Grenoble Airport to Bourg St Maurice page or our Lyon Airport to Bourg St Maurice page for more details. 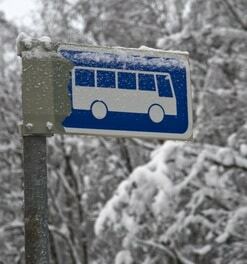 If you then expand the section “ONWARD TRANSPORT FROM BOURG ST MAURICE” you can find advice on how to get from Bourg to Les Arcs. Les Arcs is a set of purpose built resorts, spread over the villages Les Arcs 2000, 1950, 1800 and 1600. 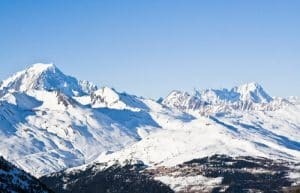 They are connected to the massive paradiski area by way of the impressive Vanoise Express, a spectacular and very fast ride over towards La Plagne. The Paradiski area offers access to some great ski slopes, covering over 425km of marked runs, served by 141 lifts. This includes access to 2 glaciers, ensuring your ski holiday is snow-sure. The Les Arcs ski area itself, with its 200km of pistes, does offer skiing for all tastes and abilities. There are 18 black runs, 33 reds, 56 blues and 1 greens. It is a popular resort with snowboarders. 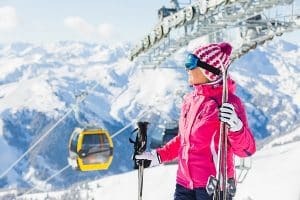 We believe we offer the cheapest Les Arcs Airport Ski Transfers from Grenoble, Geneva and Lyon Airports. 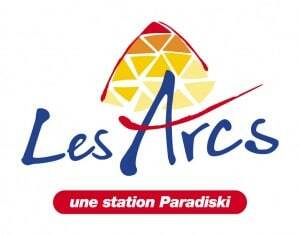 For Resort Information for Les Arcs, explore the Les Arcs Tourist Office website. For Snow Reports, the Les Arcs snow-forecast website seems well trusted by skiers. For Baggage Storage, the Tourist Office run a facility at Les Arcs 1800. More details can be found on our Baggage Store page.